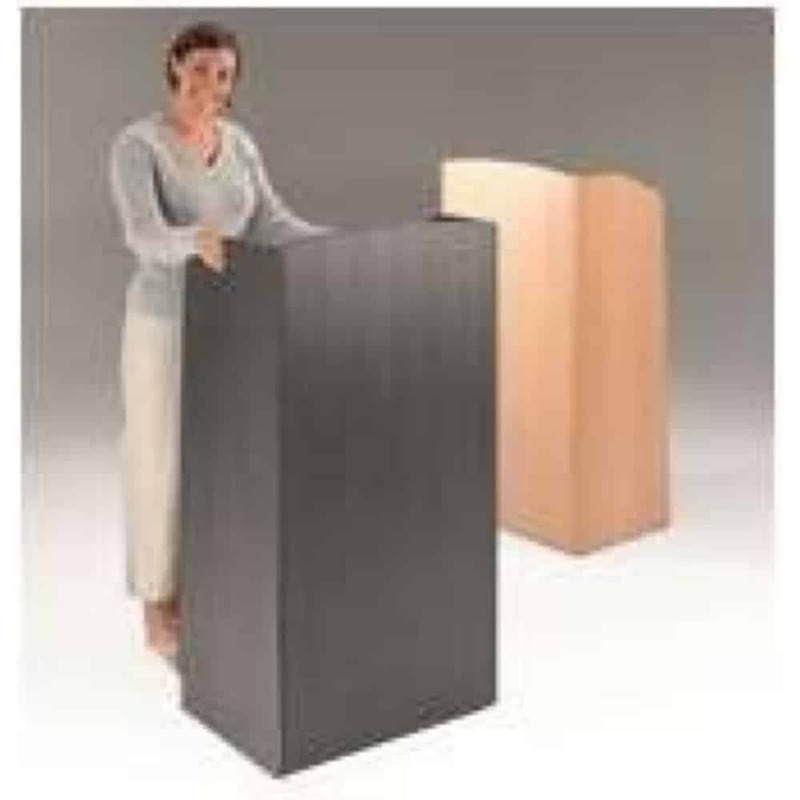 This Metroplan product is a strong full-sized pedestal lectern. It folds for easy storage and mobility. It is also available in beech laminate finish. This unit is ergonomically designed for an optimum reading height. The panel at the front has a sloping shelf for presentation of any materials and the second flat shelf is really ideal for the storage of props or any personal items.